Hilti, Inc. has been doing business with Best-Way Trucking Service since May 2002. They do numerous time sensitive material deliveries for Hilti North America every day at a very competitive price. 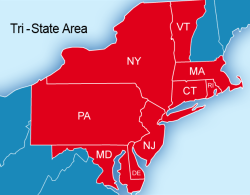 Our customers are located in the tri-state area of New York, New Jersey, and Connecticut. Every job is treated with individual attention as most of our customers need to be contacted personally at the time of delivery. Best-Way handles all of the details to ensure on-time service. Any problems are handled by the office staff immediately to locate our customers or contractors in the field and we are always advised of problems with a phone call. The 24 hour service insures any emergency deliveries are handled immediately. The trained, uniform drivers are always polite and are guided at all times with 2-way radios and GPS guidance. We highly recommend Best-Way for all your trucking and van needs. BestWay Trucking is a premier logistics company serving the public since 1975. Our uniformed, dependable drivers are trained for efficiency and reliability. For a free quote, please fill out our form. We have different kinds of vehicles that are suitable for your needs: Small & Large Cargo Vans, Flatbeds with lift gate, and box truck with lift gate. 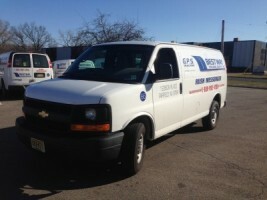 Call us at (973)-882-3111 to learn more about our trucks and services!